So, here are our groups for the project, as determined in class today. I’ll see you all on Wednesday for your brainstorming/planning meeting. 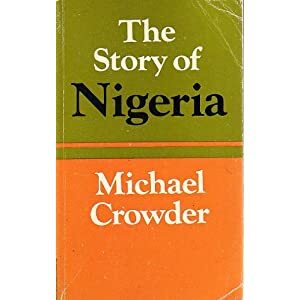 In the readings for this Wednesday, two eminent scholars of Nigeria (the historian Michael Crowder and the political scientist Larry Diamond) offer Nigeria-centric (but generalizable) accounts of why nearly all of new democracies of sub-Saharan Africa failed in the first decade following independence. For both authors, the natures of the colonial order (deeply exploitative and violent, as Crowder asserts) and the regimes that inherited power at independence (divided by ethnic identity, with elites highly dependent on the state for their wealth and status, as Diamond argues) made it very difficult for even the best-designed institutions and best-intentioned politicians to avoid leading their countries towards violence and authoritarian rule. Your question then is this: Is democracy (as you understand it) possible in societies facing such significant challenges? Could the early post-colonial era have gone differently, or was the collapse of democracy across Africa in the 1960s and 1970s unavoidable? Thanks for an interesting and engaging first day of class. Please register (using the handy “Register” link on the right-hand side) on the course blog as soon as possible, and be sure to read over the requirements for posting. The first group will receive a prompt tonight, and posts will be due by midnight on Monday. Once you’ve registered (and you’ve given me a half-day to sort out everyone’s statuses behind the scenes), you will be able to post and comment at will. To do either, you’ll need to first log in. When you log in, you’ll be asked to update your profile (which you can do as little or as much as you like). then, select “Dashboard” from the left-hand side menu. Next, select “Posts,” on the left hand side of the “dashboard.” From there, select “Add New,” write in your title, and compose your post (click “Publish” when you’re finished, selecting “Blog Post” from the Categories Menu on the right-hand side). While I’d recommend composing your exercise in a word processing program of your choice and then pasting it in, should you need to modify your own post, that can also be done through the system. As a reminder, when you are ready to post please select the appropriate category by checking the box on the right-hand side (blog post or research journal). Welcome to POLS 4495/5495, The Challenges of Democratization. Please have a look around the site, and I look forward to seeing you all on Monday, January 14.